From the moment you enter The J and J Hotel, you’ll be awestruck. 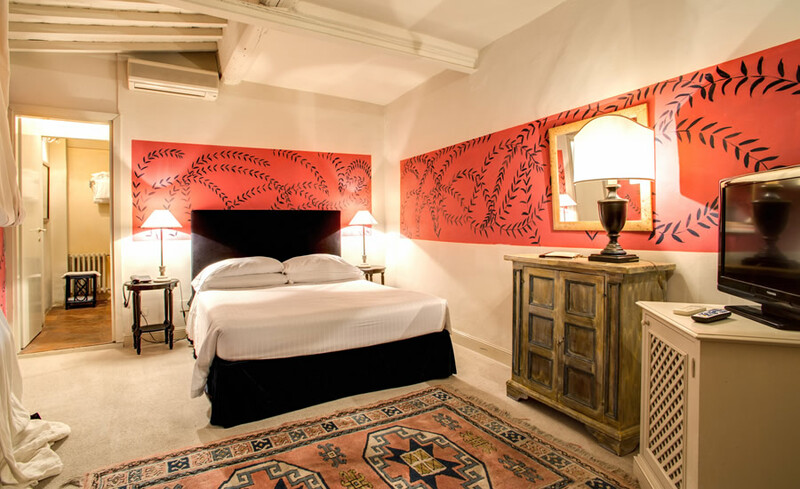 Vaulted ceilings covered in frescoes, large windows to let natural sunlight flood in, bright colors, ornate details, beautiful artwork—it will all make you feel like Renaissance royalty. This boutique hotel is housed in a former convent, and its original structural details are spotlighted throughout the property. 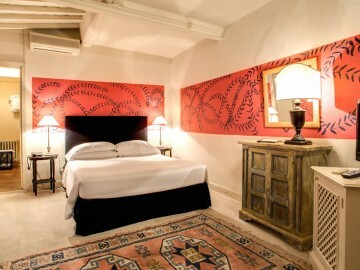 The 21 guest rooms are all individually designed and decorated to bring out the unique charm each has. Refined materials combine with typical Tuscan simplicity to give a glimpse into the real lifestyle of Florentines. Enjoy breakfast in the quaint courtyard or relax in the sun-drenched lobby to truly experience the best that the J and J boutique hotel has to offer. Positioned in a mostly residential neighborhood, this property is a great choice for those who like to get out and explore a city away from the beaten path. Traditional Tuscan furnishings such as a wrought iron canopy bed, an oversized and weathered armoire, and a simple desk, create a classic charm. 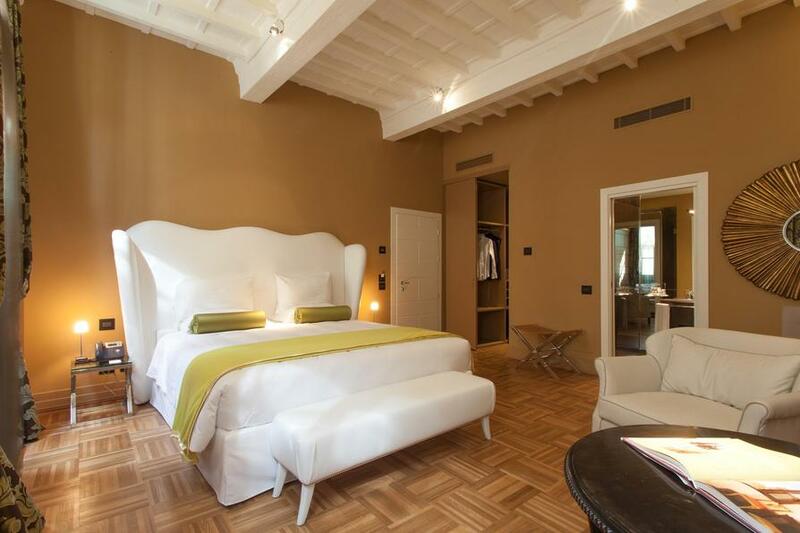 Terracotta tile floors, high ceilings, and a modern bathroom add a chic element for couples looking for a quiet getaway in Florence. Rustic meets modern with a similar aesthetic as the Double Classic category. 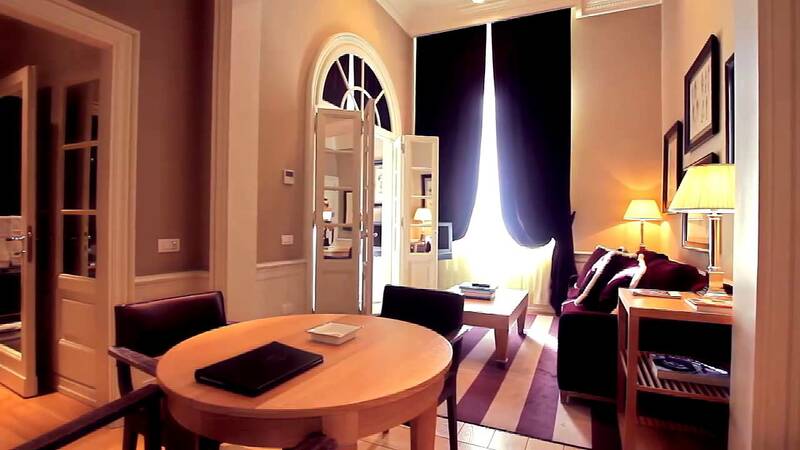 This room is equipped with two single beds and a spacious ensuite bathroom. Accented with truly unique décor, these rooms feature bright colors, rustic yet modern elements, and lofted ceilings with exposed wood beams that bring out the original charm of the structure. 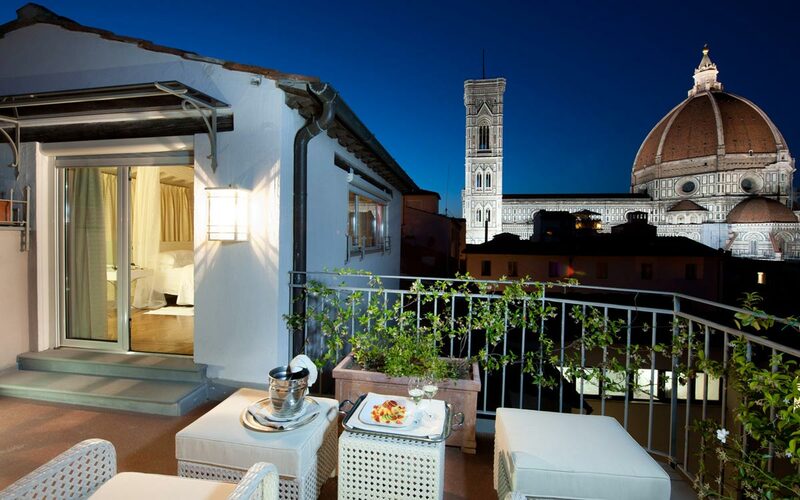 This category of rooms is larger than the Classic category and is perfectly suited for friends on holiday together in the Renaissance City. Airy, bright, and spacious, the Junior Suites at The J and J Hotel are bilevel and situated on the top floor of the property. Enjoy a quaint seating area and a sofa-bed, plus a separate bedroom area and an en-suite bathroom. Let the light shine in through the oversized windows. Look up to enjoy just one of the amazing characteristics of your Suite: the detailed wood ceiling adorned with lovely frescoes. Relax in the plush seating area after a long day of sightseeing or gaze out of the large windows to look at the city outside. This room features both a double bed and a sleep sofa. Tucked away from the hustle and bustle of the main tourist attractions yet still within a short walk away from the best attractions, this property is ideal for those who want to step away from tourist crowds. 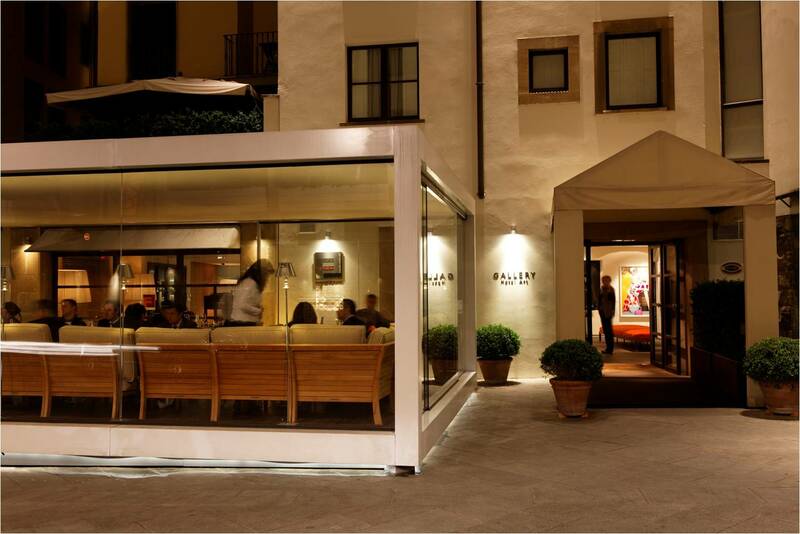 Take advantage of the authentic restaurants and shops nearby, and when you want to see something touristy, the Santa Croce Basilica and Michelangelo’s House are right around the corner. Head to the nearby Sant’Ambrogio Market to see how the locals shop. Pets allowed upon request for no extra fee.